Ukhozi Lodge embodies the spirit and romance of the African bush – set overlooking the expansive hills and valleys below, each of the 10 private suites boast a private viewing deck and plunge pool for cooling off on hot summer days. 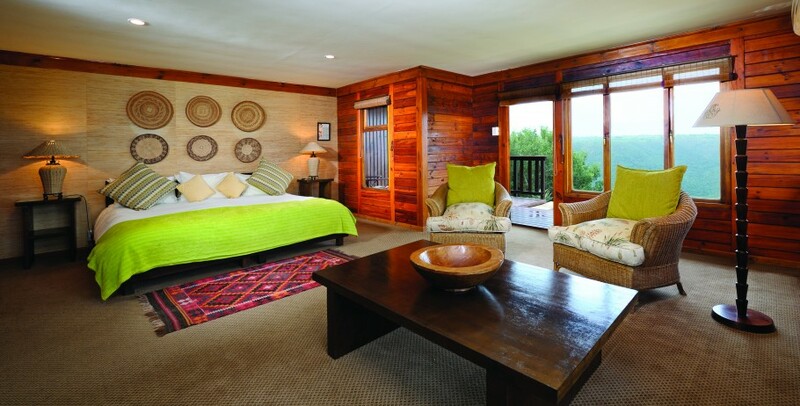 Inside your luxury safari suite you will find a spacious living area, king-sized and generous en-suite bathroom. Ukhozi Lodge offers guests a chance to capture the intimacy and romance of a safari era long past – with exquisite indoor and outdoor dining and lounge areas, luxurious lodge accommodation and unforgettable safari experiences.